Cassie, who won Colton Underwood's heart on The Bachelor's 23rd season, announced Saturday that she and her sister have launched a new YouTube Channel called "Cassie & Michelle." "Today @michellerandolph and I started up our YouTube channel again!" Cassie wrote on Instagram. Cassie and Michelle -- who made an appearance on Cassie's hometown date for The Bachelor and is romantically involved with actor Gregg Sulkin -- previously created a YouTube channel called "Double Mumble" in 2017. The account has since been deactivated, but clips of the old series are still available on Cassie's Instagram page. "A couple years ago we started a channel (RIP Double Mumble) and had so much fun doing it together, but had to stop because we weren't living near each other," Cassie continued in her post. Until recently, Cassie was living in the Los Angeles coastal suburb of Huntington Beach, CA, while Michelle was a West Hollywood resident. But after Colton moved to L.A. to be closer to Cassie, Cassie decided to get an apartment in L.A. as well. Now, Michelle is her roommate and Cassie also lives in the same building as her The Bachelor best friend, Caelynn Miller-Keyes. "Since we finally moved back in together we can start it again!! We are going to have a lot of fun with this, so if you have any ideas for future videos - let us know!" Cassie concluded. The girls' first video features the pair moving to Los Angeles together and starting fresh. Colton is clearly supportive of his girlfriend's new venture, as he jokingly suggested what Cassie and Michelle should film a segment on. "Anything with food or me," Colton wrote. The Bachelor's latest star also promoted the girls' YouTube channel on his Instagram Story. 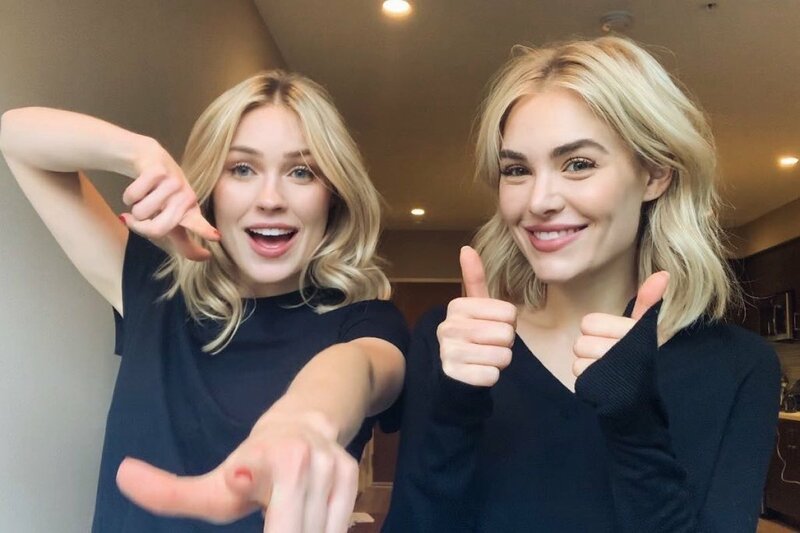 "These two beautiful humans just launched their YouTube channel," Colton wrote, adding a "swipe up" link to the channel. Cassie and Michelle published their first video on April 6, and within three days, the 12.5-minute video dubbed "Moving Day" was already viewed over 325,000 times. The girls thanked their father, Colton and Gregg for helping out with the channel in the description of their first video. Although Cassie wasn't ready to accept a marriage proposal from Colton at the end of his The Bachelor edition, the couple revealed during the March finale they are happily together and still dating. Cassie also claimed to have fallen in love with Colton since taping wrapped.